When you are struggling with back pain, it can seem like nothing is truly helping. You’ve tried pain relief medication, heating pads, and stretching all to no avail. Once you decide that it’s time to try something new, call the professionals at Naples Massage and Neuromuscular. Our team of professionals is here to assess your back pain and give you the deep tissue massage therapy your body needs to truly experience relief from the muscle pain. 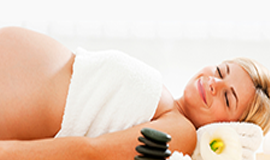 One of the services we offer to our clients is myofascial release therapy. In this technique, we focus on the pain that sits deep within your myofascial tissues. These tissues are the membranes that connect and support your muscles, keeping them working together. This pain differs from other back pain because it does not just sit within the muscles; it actually stems from the anchored areas within your myofascial tissue. These spots are called “trigger points,” and they can be difficult to find! What Happens During a Myofascial Therapy Session? During your myofascial therapy, the massage therapist finds your myofascial areas that feel much stiffer than they should. These spots should feel elastic and easily moved under light pressure. If they feel tight and resist movement, they are likely restricting your muscles and your joints, which can lead to muscle soreness and tension in your body elsewhere. During the massage, your therapist uses focused, manual pressure and stretching to help loosen any movement that has been restricted from the tension. This can help alleviate any pain and stiffness you may be harboring in your muscles. Does Myofascial Release Therapy Work? Many different studies have shown that massage and chiropractic manipulation work well to relieve back pain. Regular massages can keep the muscles in your back feeling loose and relaxed, which prevents tension from forming knots that cause pain. 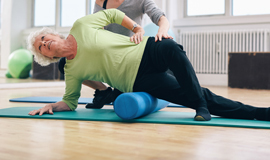 Are There Risks Associated with Myofascial Release? The good news is, myofascial release therapy has very few risks, and it can be very beneficial when it comes to pain relief in your back. However, this massage therapy should be avoided if you have any burns or painful wounds, broken bones, weak or fragile bones, deep vein issues, or if you are taking any blood-thinning medication. In very rare cases, massage therapy, in general, can cause internal bleeding, temporary paralysis or difficulty moving your muscles, an allergic reaction to the gels, lotions, and oils involved, or even nerve damage. Always consult your doctor before getting a massage. You don’t have to suffer from back pain; you can seek out massage therapy for true and lasting relief. If you are looking for myofascial release therapy or another type of deep tissue massage, contact the professionals at Naples Massage and Neuromuscular. We know how difficult it can be to find a solution that truly works for you, which is why we highly recommend you give massage a chance. Our professionals are here to help you as you work to relieve the tension and pain in your back. Call today to schedule an appointment!